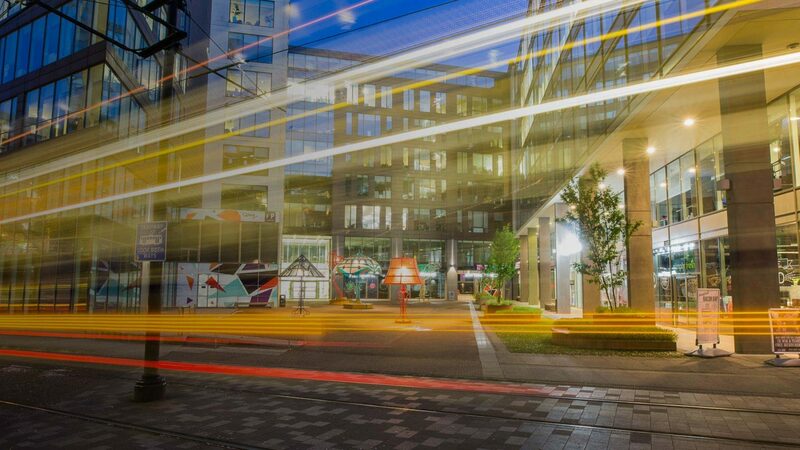 A short walk from Piccadilly Station over the new Manchester Curve Bridge brings you to the professional heart of Piccadilly Place. Offering all the benefits of a mixed-use development, Piccadilly Place incorporates office space, a hotel and apartments, all well-served by shops, cafes and restaurants, in an environment ornamented by a striking water feature. 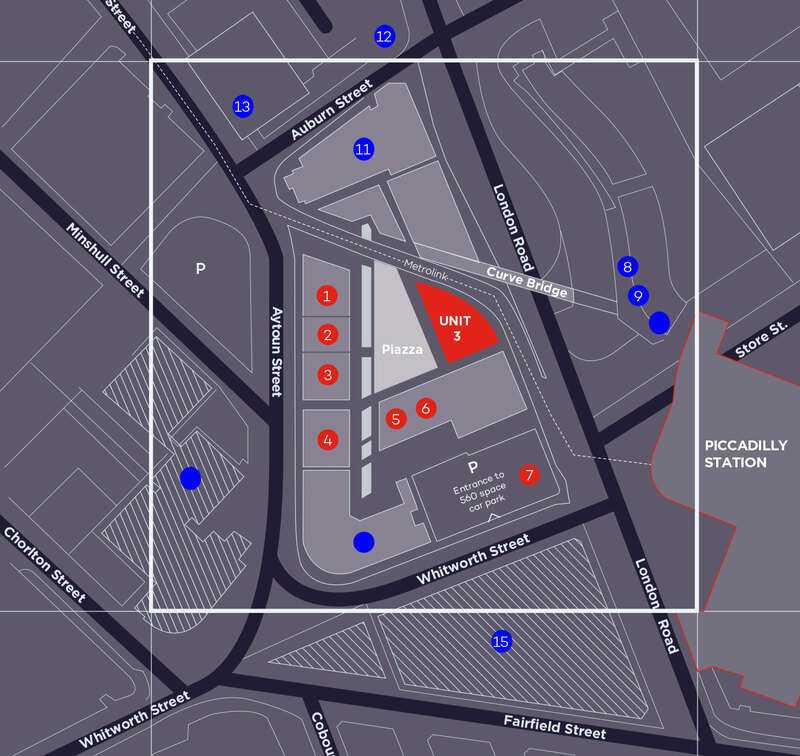 Piccadilly Place stands at the centre of Manchester’s transport hub. Getting there couldn’t be easier with local, national or international links. Trains run from Piccadilly Station to London Euston every 20 minnutes, taking a little over two hours. Manchester Airport is approximately 15 minutes away by train, offering direct daily access to over 200 destinations, including UK termini, ten major US airports and the principal European cities. Nowhere else in Manchester’s city centre is better connected. For local public transport, the Metrolink Tram System and Piccadilly Bus Station are close at hand. By car, the Mancunian Way which connects to the motorway network is just a few minutes drive.